Brief note from Work Stew editor Kate Gace Walton: For the most part, I post essays and podcast interviews, but I’ve also published a couple Q&A-style pieces: Christine de Brabander’s thoughts on business travel and Leland Dirk’s take on living off the grid. The Q&A format, in which I lob a few questions at an unsuspecting reader, turns out to be a good way to capture at least a slice of someone’s story—without asking them to do all the heavy lifting that an essay entails. For this piece, I turned the tables on career coach Marcy Porus-Gottleib: typically, Marcy likes to be the one asking people why they do what they do, but here she tackled that question herself. 1. You’re a career coach. How did you find your way to that role? It has been quite a journey! I’ve had a variety of work experiences: during high school and college summers, I was in fast food—ice cream scooper at Baskin-Robbins and drive-thru queen at Burger King. And I learned a lot: how to wow customers, solve problems, and be pleasant at the same time! After graduating, I worked for ten years in the retail industry (people manager, buyer, product developer), spent another seven as the VP of People and Operations at an outdoor travel company, and another few as the Director of Alumni Relations at the Haas School at UC Berkeley. For the last ten years, I’ve focused on career coaching—helping clients to identify their passions, define themselves, and move toward meaningful work. My own career path is a crooked one, to say the least! But there’s a unifying theme: all the work I’ve done has centered on helping people get or do what they desire. I like to say that I see people so that they can see themselves—and I’m honored to do it! 2. If you could go back in time and counsel your younger self at various junctures (maybe graduating from college or when you were poised to make a change), what would you advise? Here’s the truth: we show ourselves to ourselves at a pretty young age. A few years back, I was going through old journals from my teens and twenties. I talked a lot about what I thought I might be interested in and how I might want to shape my career. Sure enough, I saw words that describe elements of exactly what I’m doing now! 3. Is there any one thing that you find yourself saying to almost all your clients, i.e. is there some “nugget” you’ve hit upon that seems to help in almost every instance? The question many of my clients—no matter who they are or how much experience they have—commonly need to answer is this: how do I know what my best and most energizing skills are, the ones I want to use going forward? (The thought is that if you can identify your distinct strengths, then you can move toward work that employs those strengths.) One way I guide clients toward these answers is to ask them to identify moments in their personal or professional lives when they were feeling really on their game—when they felt proud of, and energized by, what they did (this could be anything from “planned out and tiled my bathroom shower” to “project managed a gnarly job, on-time and on-budget” to “wrote a novel”). Now, let’s shoot back to 4th grade math—remember factoring? When you took 24 and broke it down as 6X4 (or 8X3), and then as 2X3X2X2? In order to really hit on what you have to offer, you gotta break it down. So you liked the way you managed that tough assignment—but let’s look deeper. What specific tasks did that involve? How did you handle, motivate, and communicate with the team? Juggle the timeline? Troubleshoot problems? Report to stakeholders? Manage the budget? After breaking it down, the task is to identify what parts you loved, what parts you hated, what parts came to you easily, and which were like slogging through mud. It’s this process—examining the “factors” of different experiences—that create clarity and pave the way to fulfilling work. And the second nugget? To some it’s obvious, to others less so: I tell clients to sniff out the work that sits where their talents and passions intersect with a genuine need. That’s the sweet spot, and once there, it feels really good. 4. Can you describe a moment in your coaching work that served to reinforce your sense that career development is the right fit for you? That moment happens every time I see a light go on in a client’s eyes—when they discover what makes them tick or they reconnect with their values. It sends a chill right up my spine. Having been completely lost myself at different times in my career, I used to think I’d be the absolute WRONG person to be doing what I do. Now I feel that having had to find my own way is a big part of why I can help others. 5. If you weren’t focused on career development, what would you be doing? Is there any other path that you could envision for yourself? If I weren’t doing what I do, I’d love to be a professional interviewer. I used to pine for Katie Couric’s Today Show job. I’m crazy about asking questions, poking around in someone’s head to find out why they think or feel or act the way they do. And I’m very direct, so I’d love to lob the hardball–or curveball—questions and see what ensues! Otherwise, I’d run a bakery/coffee spot in a small town. Next door would be a small but extremely well-curated bookstore. That would be my husband’s domain. 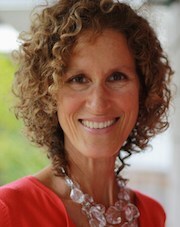 Marcy Porus-Gottlieb is a professional coach and a consultant on career transitions and development. Based in Seattle, she can be contacted via LinkedIn and Facebook. Would you be interested in fielding some questions about your work life? If so, please email me (kate@workstew.com) or drop me a message via Facebook. Other Work Stew contributors have found it helpful to capture their thoughts in writing—and the final decision on whether or not to publish will always rest with you.